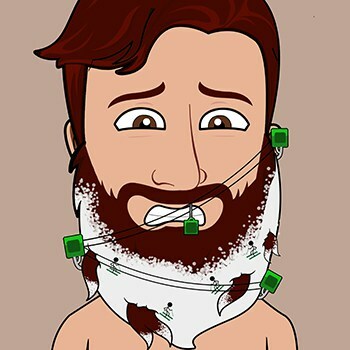 Nobody wants a beard that feels like a bag of old wire, right? 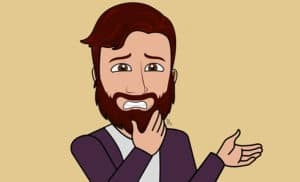 A tough and scratchy beard feels bad to you but it feels even worse to your significant other. 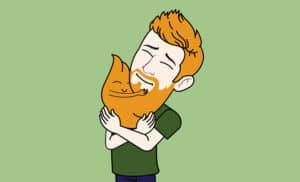 None of us wants to be nagged by our better halves to shave off an irritating beard – especially when we’ve put so much effort into growing the thing! Luckily the answer to a scratchy beard is nice and simple – investing in a quality beard conditioner and working it into your ongoing beard maintenance regime. 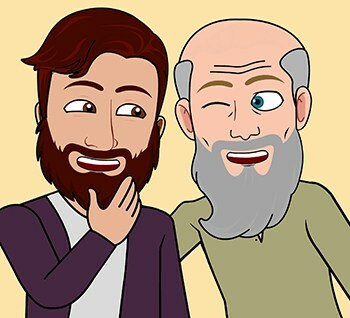 Do that and you will have a beard that looks and feels great – Scouts honor. 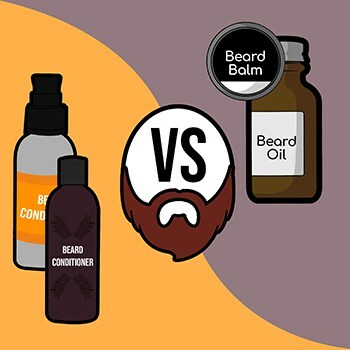 In this article, we’re going to help you to find the best beard conditioner to suit you, your face and your beard. 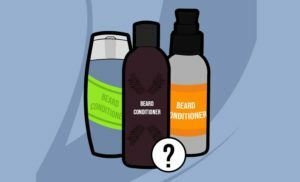 A wide range of different beard conditioners are readily available online and in shops, meaning it takes doing a bit of research to determine which one is best for your purposes. If you happen to be blessed with a thick, full beard and no skin problems, any general purpose beard conditioner ought to do the trick. However, if you have sensitive skin, you’ll want to make sure that you choose a product that’s free of harsh chemicals. Luckily, you can easily find a great number of all-natural beard conditioners and other products designed specifically for sensitive skin—all of which should help nourish and soften your beard without irritating your skin. If dry, itchy skin or beard dandruff is an issue you sometimes struggle with, then you’ll want to look for a product that contains oils and other natural moisturizing agents to help re-hydrate your skin and eliminate these issues. 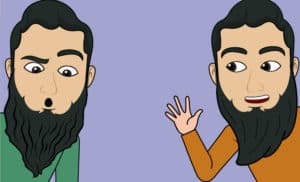 The coarseness and general health of your beard also play a role in determining which beard conditioner is right for you. For guys with facial hair that’s thicker and coarser than average, there are a number of extra-strength products designed to soften even the thickest, Brillo pad beards. Most men’s facial hair tends to become drier and more brittle as they age, which also makes these repairing conditioners a great choice for older men as they can help provide that extra boost to keep your graying beard feeling soft and looking healthy. Another factor you’ll need to consider is the scent. While you can easily find many unscented products out there, the majority of beard conditioners and beard softeners contain some form of fragrance—ranging from quite mild, manly scents to overpowering aromas. The choice of whether to go with a scented or unscented product is a matter of personal preference. 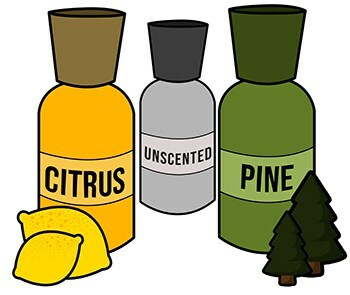 However, if you wear cologne or use a scented beard balm or oil, you’d be better off sticking with an unscented product to prevent the smell of the conditioner clashing with your other fragrance/s. For those that like the idea of a scented conditioner, you can find a huge number of different fragrances available—from citrus to woody, spicy and more. Some fragrances also last much longer than others, providing a smell that follows you around all day compared to those milder scents that are gone within an hour or two. Still, deciding which one is best is sometimes a matter of trial and error, as some scents tend to react with your body chemistry and may smell different on your skin than they did in the container. 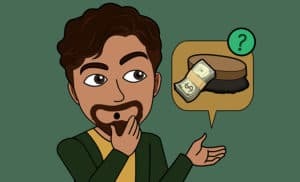 Now that we’ve looked into the basics behind beard conditioners and beard softeners, it’s time to focus on the best beard conditioning products themselves. We’ve compiled this list after extensive review and testing, so we can vouch for the effectiveness of all the products listed below. Nonetheless, considering the huge range of excellent products out there, this list is by no means comprehensive. That being said, if you’re looking for a high-quality beard conditioner, you can definitely find something on this list that fits the bill—no matter whether you have sensitive or oily skin, dry hair, etc. Any man looking for a sensitive but powerful beard conditioner with all-natural ingredients. Featuring medical-grade manuka honey and organic aloe vera gel, Grizzly Beard Conditioner from Beard Necessities is an ideal choice for those with dry or sensitive skin. This conditioner is free from chemical fragrances and perfumes, containing a blend of organic orange peel oil and citrus that provides a light, refreshing scent. Unlike many of the products listed below, this one uses only all-natural ingredients and is entirely free from harsh chemicals that could damage your facial hair or irritate your skin. Designed to soften and detangle even the coarsest beards, this conditioner provides the hydration and shine your facial hair needs to look and feel its best. See collective opinion of over 100 customer reviews here on Amazon. Any man with an extra frizzy, out of control beard. Designed for wild, frizzy or unruly beards, Mr. Rugged Beard Lotion Conditioner helps to make your beard softer and more manageable, while also promoting thicker, stronger hair growth. The conditioner contains hydrating vitamin B5 to leave hair softer and more flexible, while the wheat amino acids repair damage to the hairs to prevent split ends and breakage. This product also contains two different silicones that help to coat the hair to protect it from environmental damage. This lotion formula is extremely easy to use and soaks into the skin and hair almost instantly, without leaving behind any sticky or greasy residue. The conditioner is designed to be rubbed directly into your wet beard to nourish and rehydrate it, and it can also be used on dry hair to eliminate frizziness and provide a more manicured look. The lotion is entirely free from parabens and sodium chloride, but it does contain a range of other synthetic chemicals that could irritate sensitive skin. 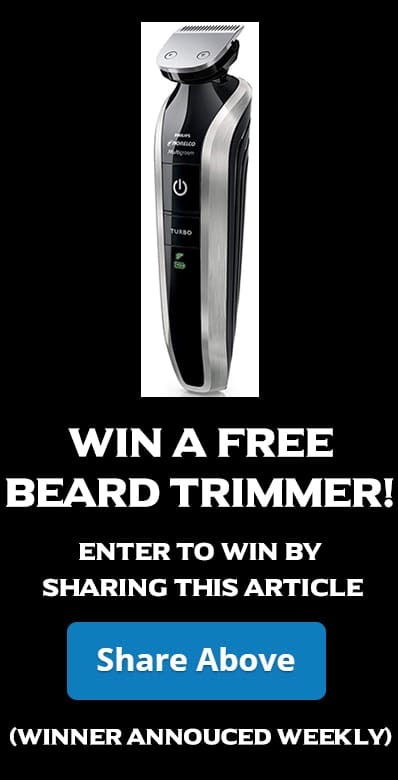 Nonetheless, for those with normal skin and wild or frizzy beards, this is a fantastic choice. Check out other customer reviews here on Amazon. Any man who has neglected their beard and needs to give it a little extra TLC and intense moisturizing. 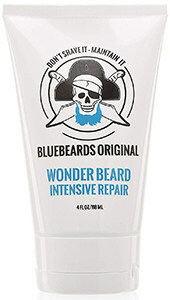 Hands-down the best beard conditioner for dry, coarse beards or those in need of a little extra TLC, Bluebeards Original Wonder Beard Intensive Repair can quickly make even the most brittle of beards look and feel soft, supple and healthy. Whereas most beard conditioners are designed for daily use, this one is meant to be used only once or twice a week. Simply rub it into your beard after washing, let it sit for three minutes, and then rinse to restore the softness and shine. This product contains a range of amino acids and other ingredients designed to lock-in moisture, while also improving the elasticity of your hair and minimizing breakage. While it does contain alcohol and a number of other chemical ingredients, it is entirely free of parabens. The conditioner has a mild lemon-lime scent that offers a nice pick-me-up in the morning. Any man looking for a great, all round product to use every day. One of the best all-purpose beard conditioners on the market, Beardsley Ultra Conditioner contains a range of powerful botanical ingredients designed to nourish and rehydrate your skin and face. In fact, this product is so powerful that it’s a great choice for conditioning the hair on your head as well as your beard. The reviews for this product were so outstanding that we just had to try it ourselves, and needless to say, it worked exactly as promised to provide a soft, luxurious feel. However, despite its effectiveness, there are a few things that keep this one from making the top of the list. Firstly, it does contain alcohol, which may irritate those with sensitive skin and can also cause your skin to dry out. The other issue is that, in addition to the natural botanicals, this conditioner also contains a range of synthetic chemicals. Nonetheless, if this isn’t something you’re particularly concerned about, then there’s no doubt that this conditioner will get the job done. See the consensus of hundreds of customer reviews here on Amazon. Any man looking for a very simple to apply but extremely high-quality conditioner/balm hybrid. 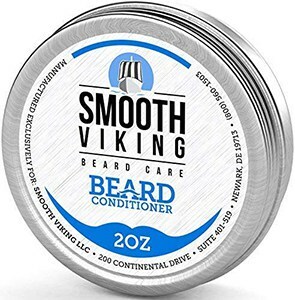 One of the most popular beard conditioners on the market, Smooth Viking Beard Conditioner is an all-natural, leave-in wax conditioner that’s designed to help you get a handle on your wild facial hair. This product contains jojoba oil, argan oil, sweet almond oil, avocado oil, shea butter, and beeswax to provide the entire range of nutrients your facial hair needs. 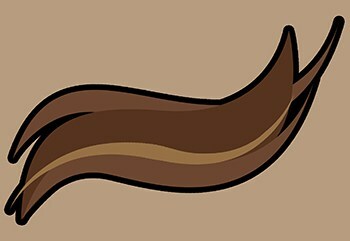 However, it also contains synthetic fragrance, which may cause it to irritate more sensitive faces. The waxy formula makes this one more like a combination of a conditioner and a beard balm, as it both softens and conditions the hair while also providing hold to help you style your beard. All you need to do is massage a small amount of this conditioner into your facial hair daily to strengthen, soften and improve the overall look and health of your beard. See what others say per the customer reviews here on Amazon. Any man who wants the benefits of a conditioner, without actually having to use one. 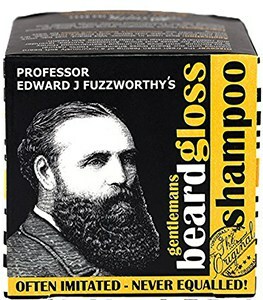 Although this one isn’t technically a beard conditioner, it is still worth a mention. As a beard shampoo, it is a great choice for keeping your beard clean and smelling great. 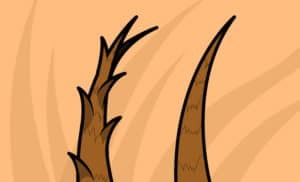 However, it does much more than just wash your beard, as Professor Fuzzworthy’s Beard Shampoo contains a range of all-natural oils and waxes that provide added softness and shine. Found only in Tasmania, Australia, the Kunzea oil and leatherwood bees’ wax and honey contained in this shampoo provide superior hydrating and repairing potential to ensure your beard looks soft, fluffy and full. If you’re looking to save a bit of time on your daily routine, this product allows you to kill two birds with one stone—offering the thorough cleaning of a quality shampoo along with the hydrating effects of a beard conditioner. See the collective opinion of over one thousand customer reviews here on Amazon. Beard balms, soaps, oils, and conditioners are all quite common nowadays, and all should be an essential part of every bearded man’s grooming routine. 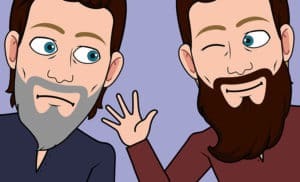 In truth, properly caring for your beard involves a whole lot more than simply washing it with a bit of soap or shampoo occasionally and trimming it when it starts to get too long and unruly. To keep your beard looking and feeling its best, you really do need to invest in a range of quality beard care products. However, while beard balms, oils and conditioners may seem quite similar—and in fact, most of them contain many of the same ingredients—they actually serve different purposes. 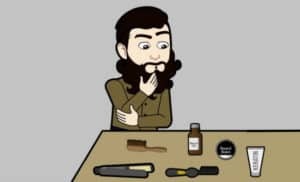 While it’s true that beard balms and oils will help make your beard softer, shinier and healthier looking, these products generally have more to do with improving the look of your beard. This is especially true of beard balms, which are often used for styling purposes and to help control an unruly beard. 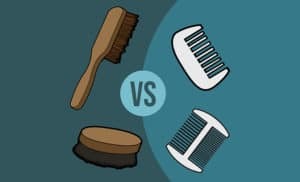 On the other hand, the best beard conditioners are much more similar to those conditioners you’d use for the hair on your head—with many of them being designed for use in the shower. Most beard conditioners contain a range of oils, vitamins and other nutrients also found in beard balms and oils. However, the main difference is that the nutrients in beard conditioners are generally absorbed directly into the hair and skin, whereas the balms and oils generally leave a coating on the beard to give it a shinier, more manicured look and feel. 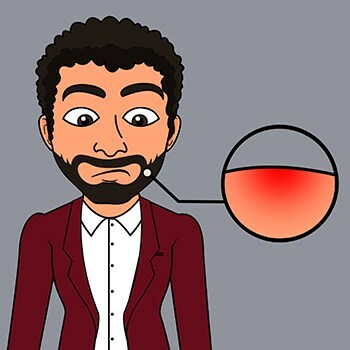 While you can also find leave-in conditioners, many beard conditioners are meant to be left sitting on your beard for a few minutes and then washed out. The various moisturizers and nourishing ingredients in the conditioner are readily absorbed by your skin and hair to leave your beard feeling softer and more manageable. As well, many beard conditioners are also effective at eliminating problems with beard dandruff or dry, itchy skin. 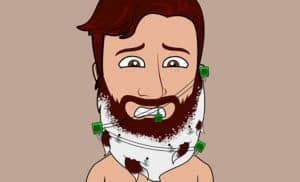 These problems are especially common when you first start growing a beard. Shaving generally removes many dead skin cells, and when you initially stop shaving, your face will have many more of these dead cells. The problem is that these dead cells often get trapped in the follicles, where they lead to itchiness and irritation. 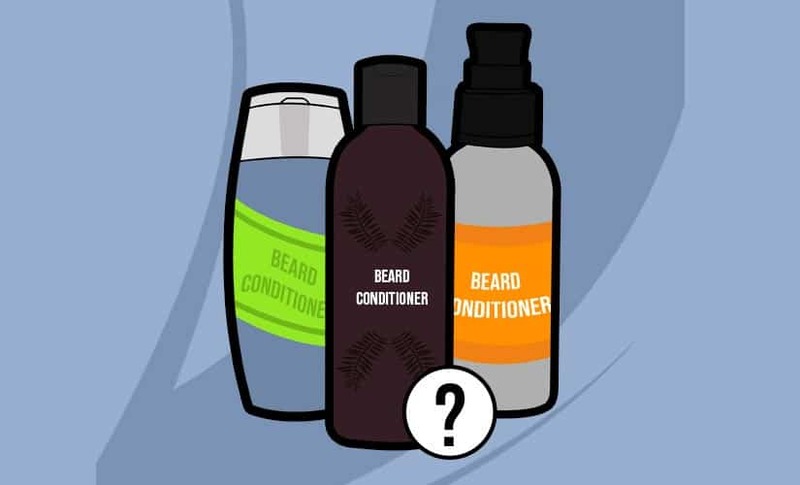 This is where a beard conditioner comes in, as it can help to minimize these problems to prevent irritation during those initial few weeks of beard growth. By softening up the hairs, beard conditioners can also reduce problems with ingrown hairs. This means that they’re not only a great choice for guys with long, epic beards, but can also be used even when you have only a day or two’s worth of stubble. If you’re truly committed to having the best beard possible, your facial hair care routine really ought to include daily washings with a high-quality beard shampoo (although regular shampoo is also an option). You’ll also want to consider using a decent oil or balm before leaving for work or heading out for the night to ensure your beard looks perfect before you step out the door. 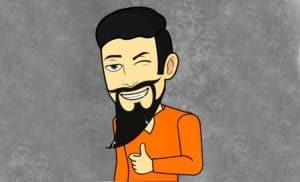 However, for best results, you definitely want to consider using a quality beard conditioner every other day or so to keep your beard in tip-top shape.